Overnight in a caboose? 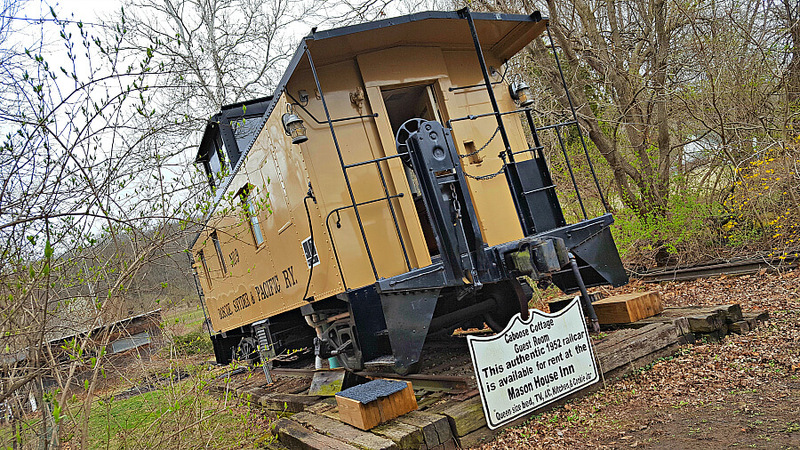 When I first read those words, it was difficult to imagine the set-up for this unique and historic Mason Inn House, a bed and breakfast in Southeast Iowa, and how they rolled this caboose in. But of course, I couldn’t wait to try it out. 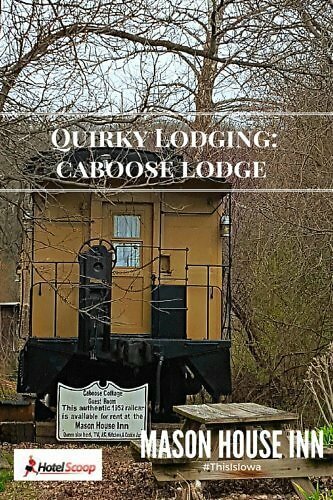 So… on my recent spring road trip to Iowa, that’s exactly what I did – overnight stay at The Caboose Cottage in Bentonsport. 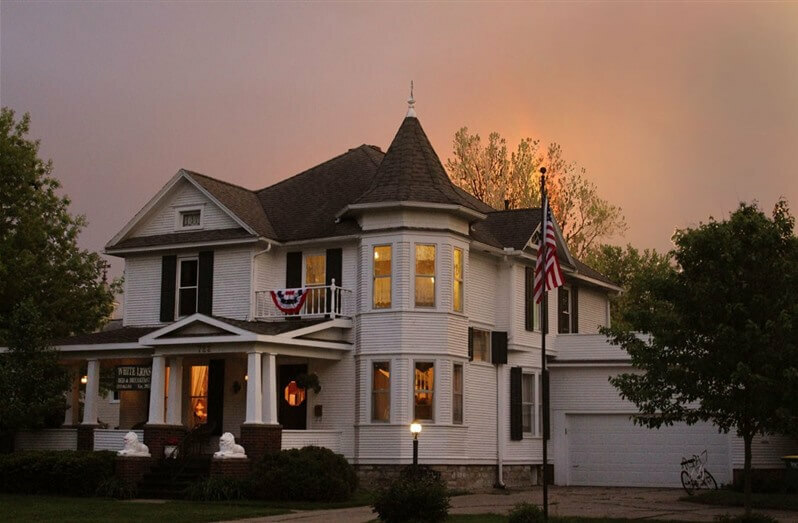 Located in Bentonsport, Iowa, the Mason Inn House opened its doors to its first guest in 1846. This Iowa hotel was originally built by Mormon settlers as a hotel for steamboat travelers, due to its prime location on the Des Moines River, when Bentonsport was once a thriving port of call. 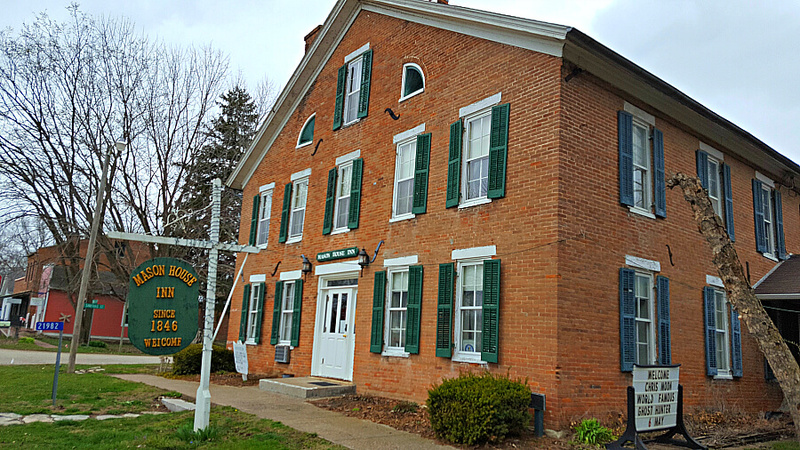 This historic inn is actually one of the oldest continually operating inns in the United States. The main “house” offers 9 rooms with private bathrooms, and as a B&B, breakfast is included. But I was here for that private caboose cottage rental. 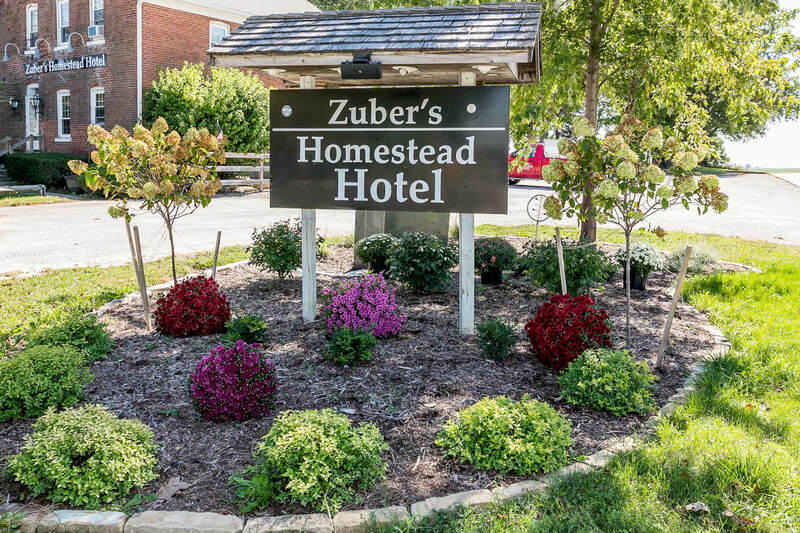 I’m a fan of B&Bs, and I am a bigger fan of quirky lodging (see this fun post just that in Hocking Hills, Ohio). And I grew up in Iowa, so the opportunity to overnight in a caboose, well, I was so in. If you’re heading to southeastern Iowa, you’re likely exploring the 12 villages called the Villages of Van Buren County, in Iowa’s Amish country. Bentonsport is on scenic County Road J-40 between Keosauqua and Bonaparte in a very quiet riverfront area. 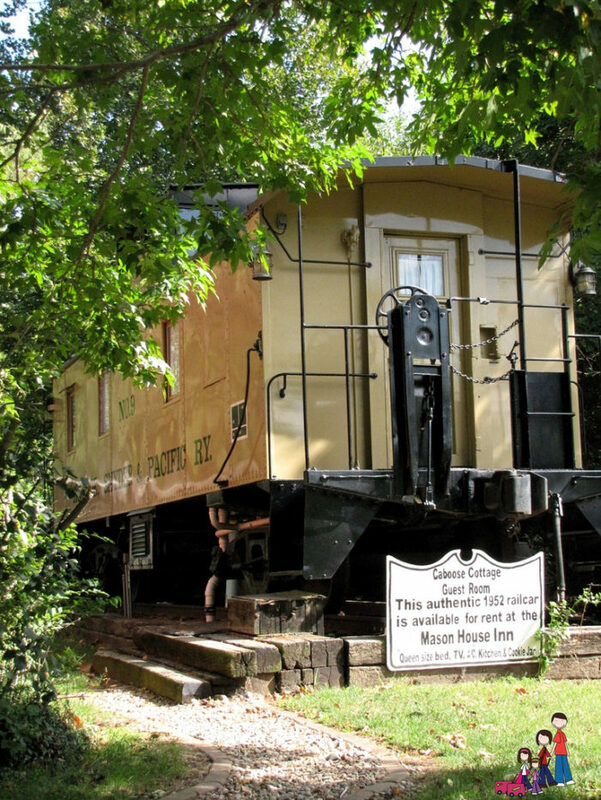 I love train travel, so I admit I was quite excited to see a caboose converted into a “cottage.” Mason House Inn is home to the Caboose Cottage Guest Room, a 1952 railroad caboose from the Roscoe, Snyder and Pacific Railway from Texas. Although my end of March travels didn’t allow for viewing of a lot of the green beauty of Iowa as it was too early in the season, the below picture shows how truly beautiful this setting is. 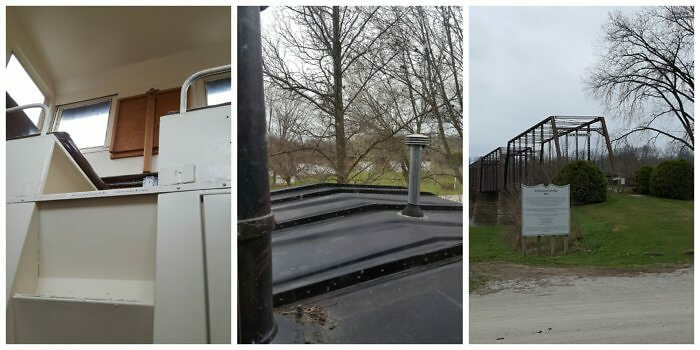 Since this is a train, entry is a bit difficult, up the wood stairs to the back of the caboose. But once there, you do get a fantastic view of the old truss bridge on the Des Moines River. Once inside the caboose, walk down a narrow hallway (hey it’s a caboose!). 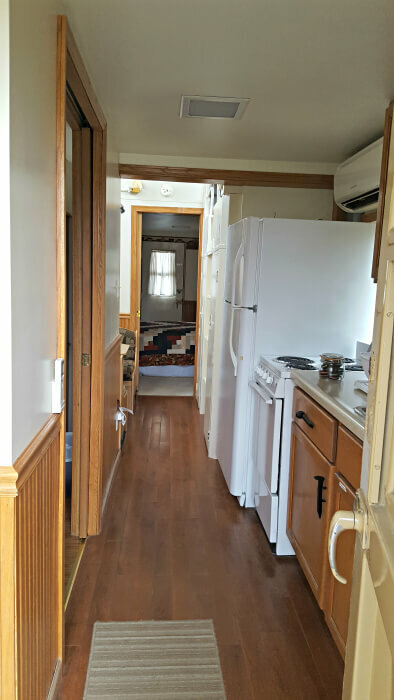 To the left is the bathroom with shower and to the right is a full kitchen. Seriously, this sort of resembles the tight quarters of RV living. 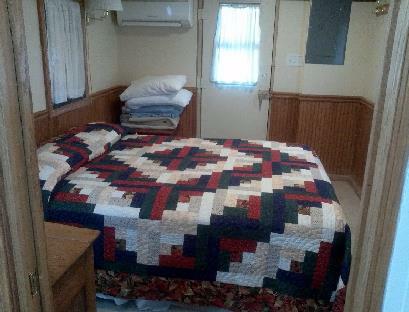 The dining area in the middle, with a table, which folds down into a twin size bed. Ready for an adventure? Climb up the “cupola” for a bird’s eye view of the scenery, or simply sit back and relax. There’s also a little fold-down table to play cards or set up your computer. I did make the climb, but it’s pretty steep. 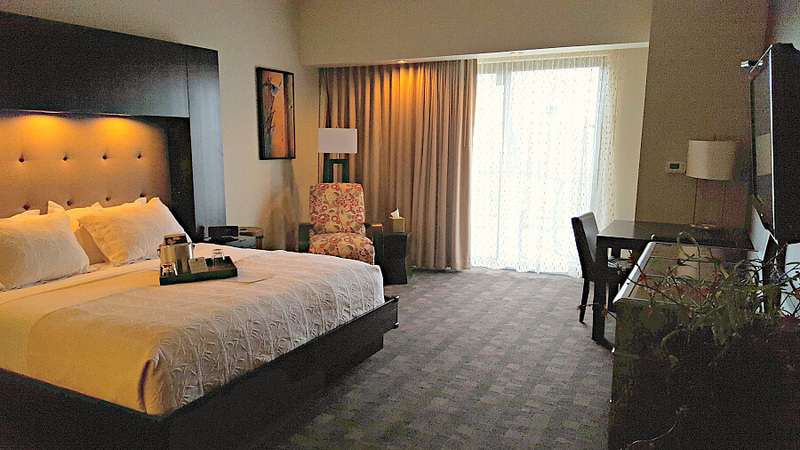 For sleeping, there’s a separate bedroom with a queen-size bed, satellite TV with DVD player. The best part is that even though this is a bit remote — the WiFi was excellent! Want to read more about my Iowa hotel adventures?